Nadia Samdani is the Co-Founder and President of the Samdani Art Foundation and Director of the Dhaka Art Summit. In 2011, with husband Rajeeb Samdani, she established the Samdani Art Foundation to support the work of Bangladesh and South Asia’s contemporary artists and architects and increase their exposure. As part of this initiative, she founded the Dhaka Art Summit, which has since completed four successful editions under her leadership. Nadia is a member of Tate’s South Asia Acquisitions Committee, Tate's International Council, Art Dubai’s Advisory Council and Alserkal Avenue’s Programming Committee, and is one of the founding members of The Harvard University Lakshmi Mittal South Asia Institute’s Arts Advisory Council. In 2017, with her husband Rajeeb, she was the first South Asian arts patron to receive the prestigious Montblanc de la Culture Arts Patronage Award. A second-generation collector, Nadia began her own collection at the age of 22. She collects both Bangladeshi and international art, reflecting her experience as both a proud Bangladeshi and a global citizen. She has written about collecting for Art Asia Pacific and Live Mint, and has been a guest speaker at art fairs and institutions including University of California, Berkeley and Royal Ontario Museum, Toronto. Works from the Samdanis’ collection have been lent to institutions and festivals including: Tate, London (2019); Metropolitan Museum of Art, New York (2019); Para Site, Hong Kong (2018); Museum of Modern Art, Warsaw (2018); documenta14, Kassel and Athens, (2017); Shanghai Biennale (2017); Office for Contemporary Art Norway, Olso (2016); Centre Pompidou, Paris (2015); Kunstsammlung Nordrhein, Düsseldorf (2015); Gwangju Biennale (2014); and Kochi-Muziris Biennale (2014). Rajeeb Samdani is the Co-Founder and Trustee of the Samdani Art Foundation, Chairman of Gulf International Finance Limited, UAE, and Managing Director of Golden Harvest Group - one of the leading diversified conglomerates in Bangladesh. In addition to his cultural philanthropy, Rajeeb is the Secretary General of the Bangladesh Human Rights Foundation, Founder of the Taher Ahmed Chowdhury Charitable Hospital in Sylhet, and the Alvina Samdani Trust. Rajeeb first began collecting contemporary art with his wife Nadia Samdani, with whom he established the Samdani Art Foundation in 2011. Works from their collection have been lent to institutions and festivals including: Tate, London (2019); Metropolitan Museum of Art, New York (2019); Para Site, Hong Kong (2018); Museum of Modern Art, Warsaw (2018); documenta14, Kassel and Athens, (2017); Shanghai Biennale (2017); Office for Contemporary Art Norway, Olso (2016); Centre Pompidou, Paris (2015); Kunstsammlung Nordrhein, Düsseldorf (2015); Gwangju Biennale (2014); and Kochi-Muziris Biennale (2014). Rajeeb is a founding member and Co-Chair of Tate’s South Asian Acquisitions Committee, a member of Tate's International Council, Art Dubai’s Advisory Council, and Alserkal Avenue’s Programming Committee, and is one of the founding members of The Harvard University Lakshmi Mittal South Asia Institute’s Arts Advisory Council. In 2017, with his wife Nadia, he was the first South Asian arts patron to receive the prestigious Montblanc de la Culture Arts Patronage Award. He has been a guest speaker at art fairs and institutions including University of California, Berkeley and Royal Ontario Museum, Toronto. Diana Campbell Betancourt is a curator committed to fostering a transnational art world. Her plural and long-range vision addresses the concerns of underrepresented regions and artists alongside the more established in manifold forums. As the Founding Artistic Director of the Samdani Art Foundation and Chief Curator of the Dhaka Art Summit since 2013, Campbell Betancourt has developed DAS into the foremost research and exhibition platform for art from South Asia. For Srihatta, an Art Center and Sculpture park that will be the foundation’s permanent home, she is curating its inaugural exhibition from the foundation’s collection that she has been entrusted with forming. Concurrent to her work in Bangladesh, from 2016 to 2018 Campbell Betancourt was the Founding Artistic Director of Bellas Artes Projects, a non-profit international residency and exhibition program with sites in Manila and Bataan. As an independent curator, she has realized many significant solo projects and group exhibitions at leading institutions and galleries. Campbell Betancourt was appointed to curate Frieze Projects in London for its 2018 iteration and will curate the 2019 edition. She chairs the board of the Mumbai Art Room, one of India’s leading non-profit spaces. She continues to write essays for various publications and lecture and teach widely. Through her exhibitions, artist commissions, education outreach, and scholarly cross-pollination in conjunction with academic research centers, Campbell Betancourt is laying the groundwork for valuable cross-cultural dialog, nurturing solidarity across the Global South, and the necessary rewriting of art history for our collective future. Educated at Princeton, Campbell Betancourt has been living and working across Asia since 2010. She currently lives in Brussels and Dhaka. Mohammad Sazzad Hossian is the Head of Administration of the Samdani Art Foundation. Sazzad has worked for the Samdani Art Foundation since 2012 and has been a key member of the management team from the first edition of the Dhaka Art Summit, now moving into its 4th edition. He is responsible for the artistic production of DAS, along with the management of all teams on site. From the outset Sazzad has managed the production of major international artist projects, such as Shahzia Sikander, Rashid Rana and Haroon Mirza to name a few. Sazzad Hossain completed his M.A. and B.A. from Stamford University Bangladesh majoring in English Literature. Teresa Albor is a cultural producer who has been working internationally in the US, UK, and Eastern Europe, and was based in South and Southeast Asia for over a decade. She is now based between London and Dhaka. She has degrees in art, design and administration from the Universities of Wisconsin and the Philippines, and Chelsea - University of the Arts London. Her roles have included running a London-based art college; co-founding an international artists’ residency programme; being part of Arts Council England’s Ten-Year Strategy consultation; serving on a School of the Art Institute of Chicago board; writing for The Observer, Economist and others; and producing for Associated Press TV, BBC and ITV. Recently, she co-authored a book about live art, gender and aging published by Unbound-London. She has a practice as an artist, making live art, video and sound work which explores questions of human nature, identity and marginalisation. Lt. col. md. nasimul alam retd. Director of Brain Train Creative Ltd. Colonel Nasim has been involved with the Dhaka Art Summit since 2016 when he acted as Chief of Security. For DAS 2018 he acted as Chief Coordinator. After completing 26 years of service in the Bangladesh Army, he joined the Golden Harvest Group as Head of Operations at Brain Train Studio Ltd, and now holds the position of Director. After completing his graduation from Bangladesh Army, Colonel Nasim served in various important Military position including security of VVIPs, both at home, and abroad, and served as Peace-Keeper in Iraq and Kuwait. He later completed his MBA in Human Resource Management from a private university in Bangladesh. Nawreen Ahmed is working as Communications Manager for Samdani Art Foundation. She has worked as Junior Operations Officer for ME SOLshare Limited and taught Strategic Management and Business English while she worked as a Lecturer for BiMS. She has completed her BBA from Heriot Watt University and MBA from Eastern University. Adam Ondak works as Curatorial Assistant for Samdani Art Foundation and Dhaka Art Summit. He currently studies Business Management at King’s College London. Adam participated in an interdisciplinary academic programme “Experiencing China 2018” at Tsinghua University, Beijing choosing to focus on urban and foreign policy, representing King’s College London and also gained scholarship to partake in a Common Purpose UK sustainable leadership programme in Jakarta, Indonesia. He is part of the organization team of the annual Central European Conference held at London School of Economics. Ruxmini Choudhury is a Bangladesh based Assistant Curator for the Samdani Art Foundation. She works directly under Diana Campbell Betancourt to arrange seminars and international exhibitions. As part of the Dhaka Art Summit team, she worked as a research assistant to Daniel Baumann for the Samdani Art Award 2016 show, Diana Campbell Betancourt for the group show 'Mining Warm Data' and worked under Nada Raza in her group show ‘The Missing One’. Her work comprises of research on local artists, archiving and monitoring the Samdani Art Foundation Collection among others. She is also responsible for the Samdani Artist Led-Initiatives Forum. 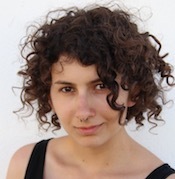 Ruxmini also works as a freelance art writer, researcher and bilingual translator. She completed her BFA in Art History from University of Dhaka in 2014 and previously interned at the Dhaka Art Center. Her research on the crafts of Kushtia, Jhenaidah and Magura district of Bangladesh has been published in Setouchi Catalogue: Bangladesh Crafts, 2014. She is also an alumna of Kennedy-Lugar Youth Exchange and Study (YES) programme and was previously involved in many social service and youth empowerment activities. Lucia Zubalova works as curatorial assistant at Samdani Art Foundation and Dhaka Art Summit. She is currently completing her degree in History of Art at the Courtauld Institute of Art in London. Lucia has previously interned at the Slovak National Gallery, worked for the Bratislava-based Linea Collection and received a scholarship from the Salzburg International Summer Academy of Fine Arts, where she took part in Diana Campbell Betancourt's course 'Institution-building as Curatorial Practice'. In 2018, she co-curated an exhibition of Erik Binder's work at T3, a community-run cultural space in Bratislava. Zannatun Nahar works as a Curatorial Assistant for the Samdani Art Foundation. She completed her BFA in Art History from the University of Dhaka in 2016. She has previously worked as Digital Content Creator in the online Bangla section of ICE Today Magazine and as a freelance writer for Bengal Barota and NTV online. She was a content writer for Performance Art Section of the 18th Asian Art Biennale, 2018.